St. Cloud, a family-oriented city near Orlando, was founded April 16, 1909, as a retirement community for Civil War Union veterans who paid $50 for five-acre lots. The birth of modern day St. Cloud is possible through the aspirations of several men, including Hamilton Disston, who began visiting Florida from Philadelphia on fishing trips in the 1870s. 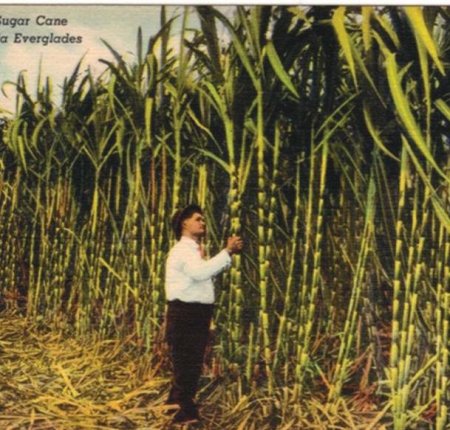 After positive results from sugarcane at Southport, Disston became interested in its production. He erected the first sugar factory at the St. Cloud Plantation at East Lake Tohopekaliga. A small community developed at Disston’s sugar works and when the plantation was abandoned, a few families stayed on, moving to the location. The Sugar Belt Railway was merged with South Florida Railway and the St. Cloud Plantation was acquired by the Seminole Land and Investment Company (SLIC). Prof. Bridges, principal of the Kissimmee High School, suggested “St. Cloud” as the name of the city. Other names were suggested, but “St. Cloud” was unanimously accepted. Col. John McElroy was a main player in the SLIC, which had advertised and brought Civil War Union veterans to the new community. Col. McElroy first named the downtown streets, running north and south across numbered streets, for states who participated in the War on the Union side (New York, Pennsylvania, Massachusetts, etc.). Later, as St. Cloud spread more to the east and west, former states in the Confederacy were added (Virginia, Alabama, Mississippi, and so on). City of St. Cloud was incorporated January 3, 1911, and St. Cloud’s boundaries have expanded dramatically since then. The size of the city is now controlled by voluntary annexation based on the supply of sewer and water services to the expanding urban area. Growth has been demand-based, and City services have been extended to meet the needs of new residents as well as providing economies of scale for the operation of City utilities and services. St. Cloud Main Street, Inc.